Despite featuring imaginative alien races and mind-numbingly massive feats of engineering, one of sci-fi’s most unique elements is its arsenal. While fantasy movies may have cornered the market on named swords and magic wands, sci-fi movies runs the gamut in its weaponry, ranging from lab experiments run amok to unearthed extraterrestrial technology, and anything in between. 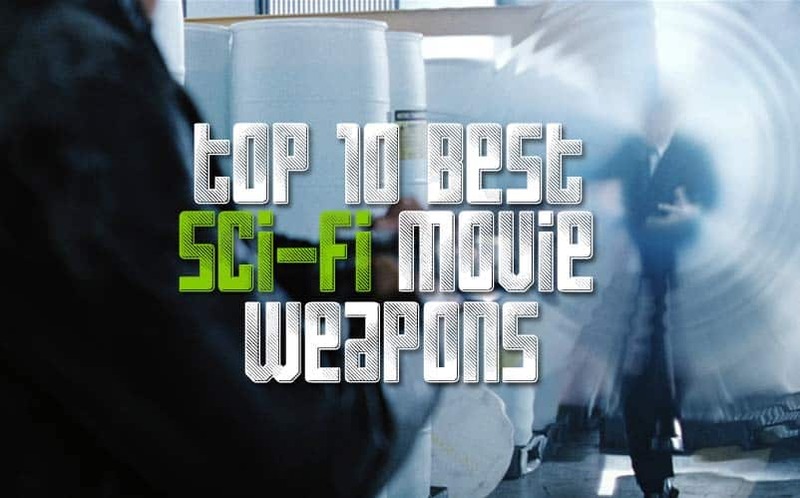 Here are the top 10 best sci-fi movie weapons that are the most memorable, destructive, and downright awesome weapons to date. There’s simply no way to talk about sci-fi weapons without bringing up the lightsaber, easily the most recognizable Star Wars weapon. Sure, it may just seem a brighter version of a fantasy blade, but it’s also one of the defining traits of the Star Wars franchise. Powered by resonating crystals within the metal hilt, the lightsaber is capable of cutting through any droid or security door (in due time, of course), and also offers Force users the ability to deflect blaster bolts or engage in locked-blade combat. 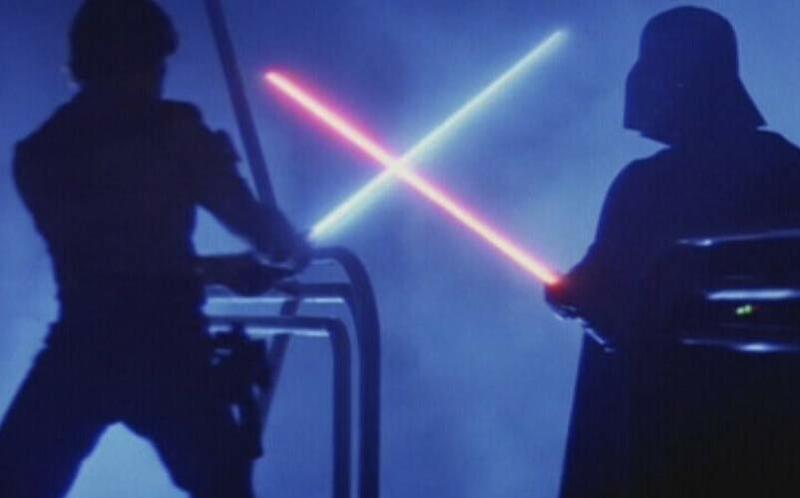 Any way you slice it, the lightsaber is the de facto mascot for a galaxy far, far away. This pack is the reason you’re warned against crossing the streams. Used by the Ghostbusters team to soften up spirits before capture, this backpack-and-gun combination proved to be instrumental in taking down approximately half of the world’s ghost population. And, very likely, half of the world’s inanimate object population. With an energy pack lasting 5,000 years and a spectacular result for crossing the streams (combined force, anyone? 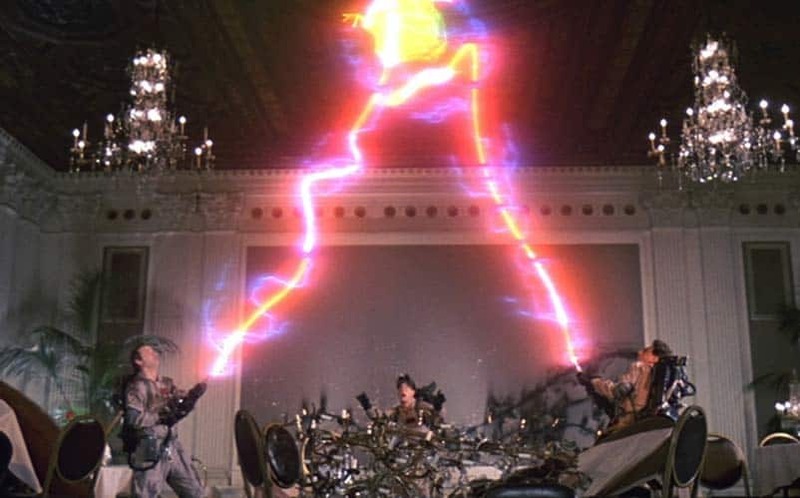 ), it’s no wonder that the Ghostbustersmade this device standard-issue. Owning one of these master-of-all-trades energy weapons has been a lifelong goal of many Trekkies. 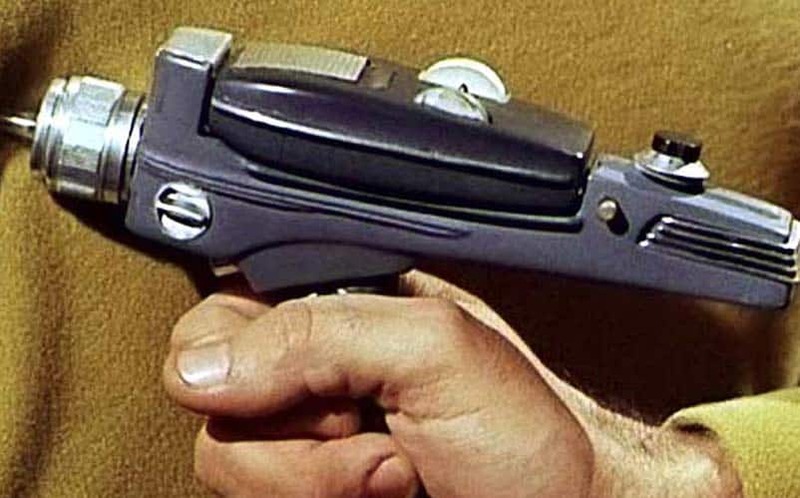 Capable of use in nearly any situation, ranging from simple stunning to lethal force, the phaser is a nearly universal weapon throughout the world of Star Trek. While most varieties come in handheld forms, several versions of rifles also exist. This weapon’s greatest strength is its versatility and power settings, making it an effective tool for both warfare and law enforcement. 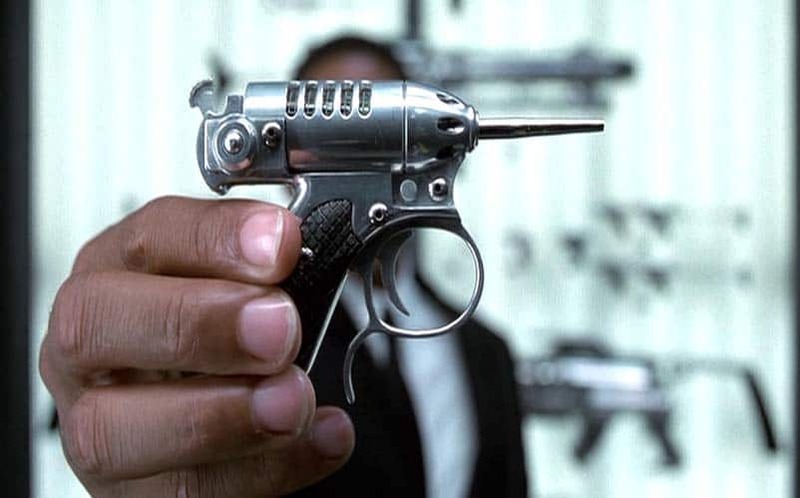 Bigger isn’t always better, according to this pint-sized pistol from Men in Black. One shot from the Cricket is enough to knock almost any human user off their feet, which is both a curse and a blessing during field operations. Aside from being Agent J’s personal sidearm, it was also the weapon that – in the more capable hands of Agent K – managed to take a regenerating shop owner’s head clean off. Considering the massive recoil of this gun and the force of its rounds, it’s probably best to leave it in the hands of MIB agents. Every big-game hunter comes equipped with big-game tools, and the Smart-Disc is no exception. 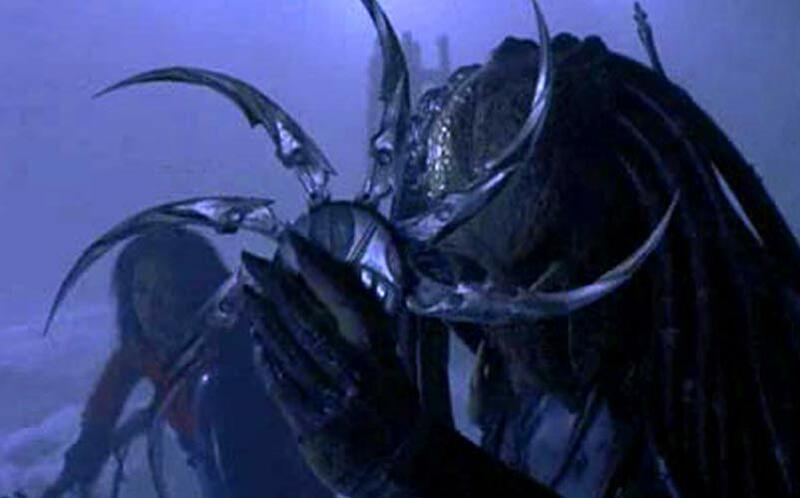 Wielded by Predators (Yautja, going by the official lore) as part of their high-tech load-out, the Smart-Disc is designed to be thrown and guided toward a target, then returned to the user. It also features an ergonomic grip for use in melee combat, though most Predators were able to claim their kills from an impressive distance. The Smart-Disc’s razor-sharp edge makes it one of the hunter’s best weapons, and certainly one of the most brutal. While this shotgun is never assigned an official name in Minority Report, the visual effects of its rounds are clear: an enormous sonic boom is released from the barrel, throwing targets and assorted objects to the floor in its wake. The shotgun also features a slick reloading mechanism, which appears to cycle a new shell with every vertical flip of the stock. This weapon was created with sleek, futuristic aesthetics in mind, and its otherworldly impact – not to mention strange sound – fully sell the design. William Gibson created a number of enduring cyberpunk and general sci-fi devices throughout the 1980s, but his story Johnny Mnemonicfeatured a truly chilling weapon: the diamond-based monomolecular wire. While other stories toyed with the idea of a wire created with one molecule-thick construction, Gibson’s story made the device a key element, and took the idea a step further by creating a wire formed from diamond, which would withstand the impact of similar wires using lesser materials. The wire can be used to strangle, decapitate, or slash victims, and is nearly invisible in the user’s hand. When venturing through the red-lit, Xenomorph-infested halls of a dying starship, this is one of the best weapons to have on your side. The M41A is the stock weapon for the US Colonial Marines, and rightfully so. 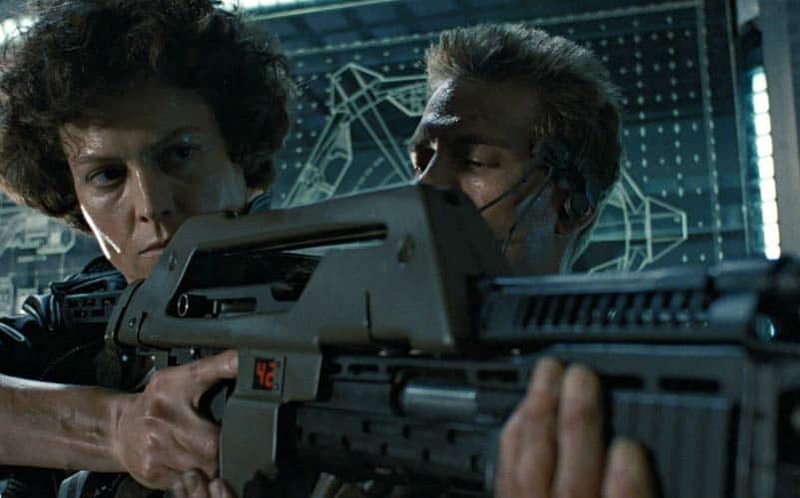 Featuring 99 rounds, an optional grenade launcher, and an extremely light alloy body, this rifle was one of the only things standing between the soldiers and acid-blooded aliens of LV-426. In subsequent appearances in the world of video games, comics, and novels, the M41A received a number of variants with specialized ammunition and uses, but its core design and memorable “ripping” sound automatically pushed it into the realm of sci-fi legend. When fighting supersized bugs, there’s a pressing need for supersized weaponry. 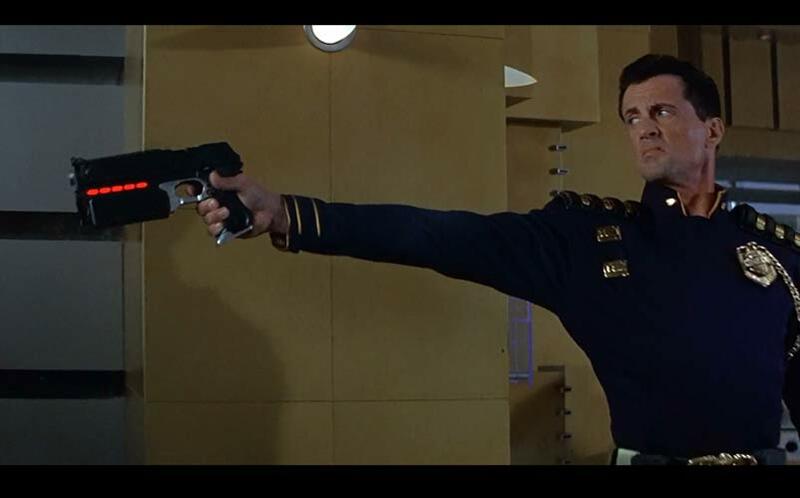 Or, in the case of Starship Troopers, supersized and miniature weaponry. 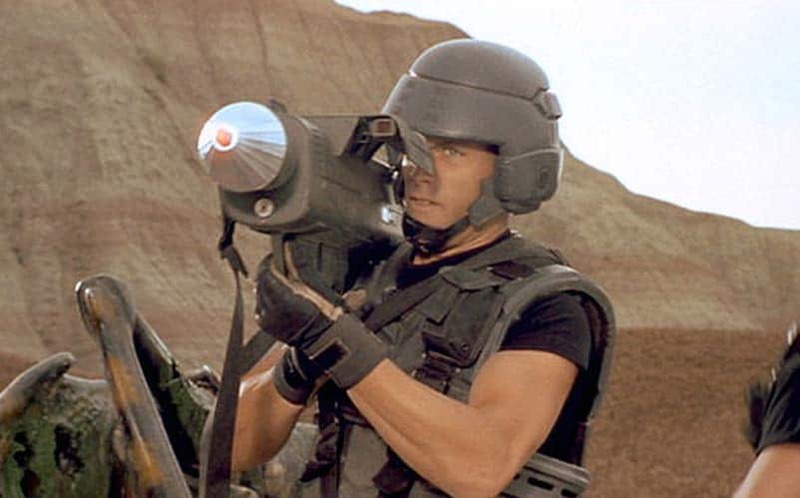 This personnel-carried rocket launcher, which was capable of downing the enormous Plasma Bugs and Tanker Bugs, utilizes a miniature nuclear charge as its warhead. Their use is broader than taking down hard targets, of course. These oxygen-based fusion rounds can do it all: direct fire, artillery support, and hive-clearing, which is capable of purging entire bug populations before they even surface. The Mobile Infantry forces may have been outnumbered in their battles, but with the MK-55, they were far from outmatched. As any enforcer knows, it’s impossible to deliver justice without a fitting sidearm. Judge Dredd, one of the leading agents in Mega-City One, always carries this palm-print-encoded weapon. Lawgiver features six different types of ammunition, including incendiary and ricochet rounds. If a user picks up the gun but isn’t authorized to wield it, they can expect to lose their hand due to a violet (but effective) build-in safeguard. Policing Mega-City One seems to require an entire armory of weapons, and Lawgiver manages to pack all of that firepower into one hand.